The successful candidate will provide leadership in capacity building interventions aimed at strengthening multi-sectoral coordination for improved nutrition at the local government to improve the nutritional status for women of reproductive age. The job holder will guide the development, design, management, implementation, evaluation and reporting of all capacity building interventions. 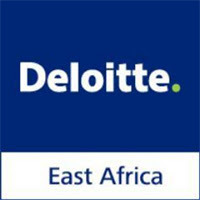 This position reports administratively to the Deputy Chief of Party and technically to the Deloitte Program Director. The Monitoring & Evaluation Officers will be responsible for supporting the regions sub-grantees to collect, analyze and report quality data while ensuring that they comply with all data management and quality dimension requirements of the program. They will take lead in identifying Monitoring & Evaluation (M&E) capacity needs of the sub-grantees and provide support in building their capacity at all levels. They will oversee the use of agreed national M&E tools and ensure timely, quality and reliable data reporting. They will be responsible for covering all requirements of the component of the program and maintain conducive working relationships with facility staff, the RHMT & CHMT and other relevant partners working in their region. The Finance Intern is responsible for daily mobile payment, data recording in the system, reconciliation as well as ensuring that all documents related to mobile payments transaction are in place. This position reports directly to the Finance Manager. Perform any other duties as assigned from time to time.